Abrigo (Coat) - Cinturón (Belt): MANGO // Camisa (Shirt) - Jeans: ZARA // Gorro (Hat): HM // Botines (Booties): STEVE MADDEN. 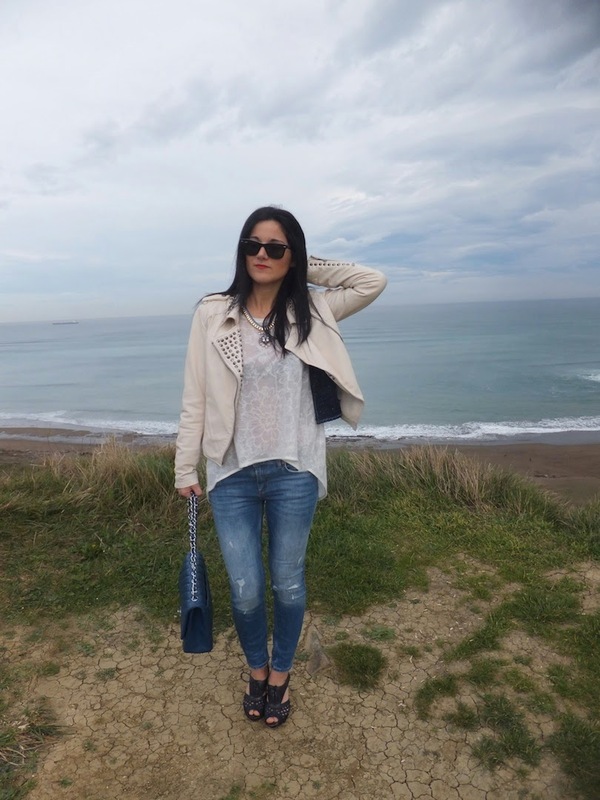 Studded Biker, Tweed & Jeans..
Biker - Jeans - Camiseta (t-shirt): ZARA ; Chaqueta (Tweed Jacket): SUITEBLANCO ; Sandalias (Sandals): UTERQUE ; Bolso (Bag): CHANEL. Biker Piel (Leather Biker) - Pantalones (Pants):MANGO // Camiseta (Shirt): EASY WEAR// Gorro (Hat) - Zapatos (Shoes): BIMBA Y LOLA // Bolso (Bag): Amazona LOEWE. Chaqueta Piel (Leather Jacket) - Shorts - Camisa Vaquera (Denim skirt): ZARA // Botines (Booties): MANGO. Chaqueta Piel (Leather Jacket): ZARA // Pantalones (Pants) / Blusa (Blouse): MANGO // Collar (Necklace): El Corte Inglés // Bolso (Bag): LOEWE // Gafas sol (Sunnies): OAKLEY. All rights reserved // Todos los derechos reservados. Tema Sencillo. Con la tecnología de Blogger.